Riekki, Tapani (2014). Neuro-cognitive factors contributing to paranormal beliefs: core knowledge violations, cognitive inhibition, and the social brain. Link. E-mail: tapani.riekki(at)helsinki.fi. Doctoral defense: Tapani Riekki with the opponent Michiel van Elk (at the left) and the Custos Heikki Summala (in the middle). Svedholm, Annika (2013). The cognitive basis of paranormal, superstitious, magical and supernatural beliefs : The roles of core knowledge, intuitive and reflective thinking, and cognitive inhibition. Link. E-mail: annika.svedholm(at)helsinki.fi. 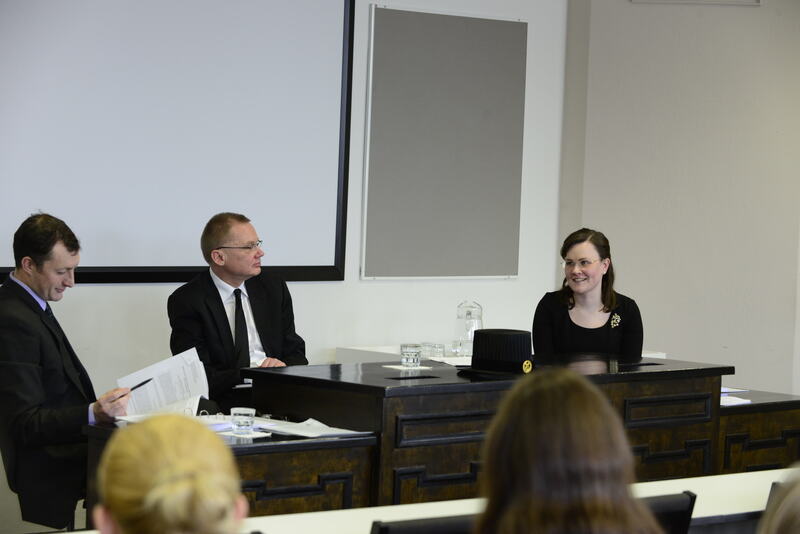 Doctoral defense: Annika Svedholm-Häkkinen with the opponent Will Gervais (at the left) and the Custos Jussi Saarinen (in the middle). Leikas, Sointu (2010). On the moderators of trait avoidance motivation in predicting cognitive biases and adjustment. Link. E-mail: sointu.leikas(at)helsinki.fi. 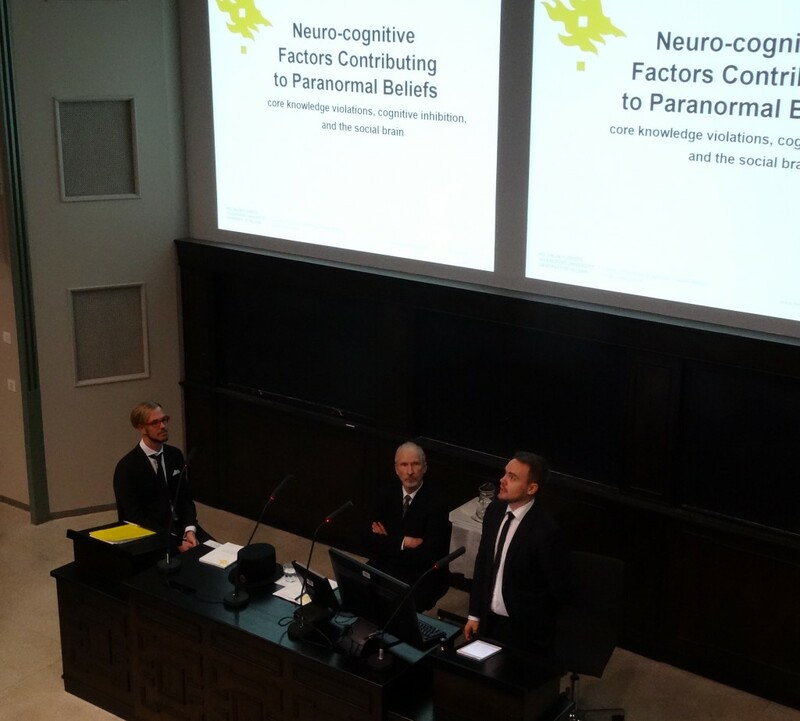 Doctoral defense: Sointu Leikas with the opponent Jüri Allik (at the left) and the Custos Juhani Julkunen(in the middle). Aarnio, Kia (2007). Paranormal, superstitious, magical, and religious beliefs. Link. E-mail: kia.aarnio(at)helsinki.fi. 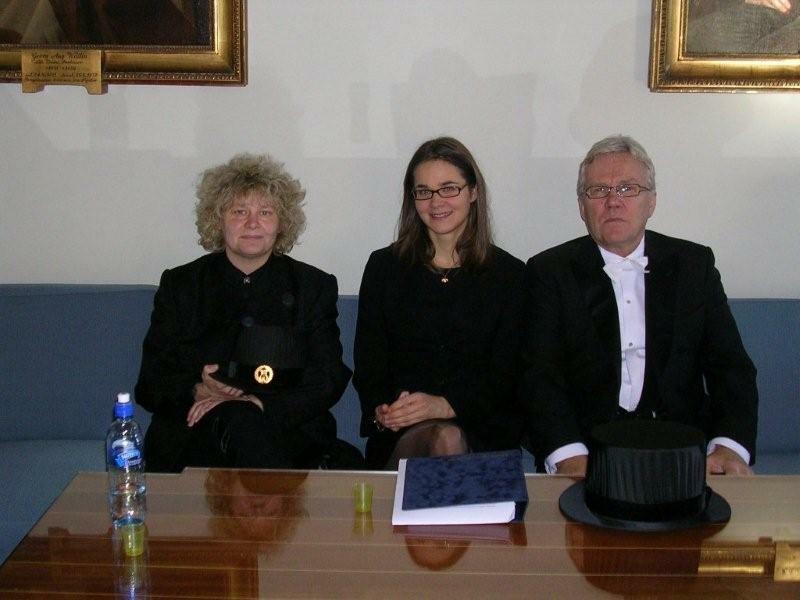 Doctoral defense: Kia Aarnio with the opponent Pekka Niemi (at the right) and the Custos Christina Krause (at the left). Saher, Marieke (2006). Everyday beliefs about food and health. Link. Doctoral defense: Marieke Saher with the opponent Timo Kaitaro (in the middle) and the Custos (Christina Krause (at the right).